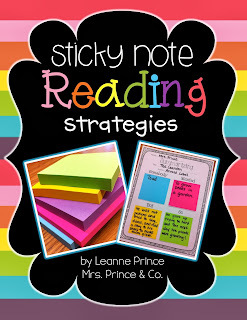 Y'all know how much I love using sticky notes in the classroom! to practice making predictions with this fun little page. 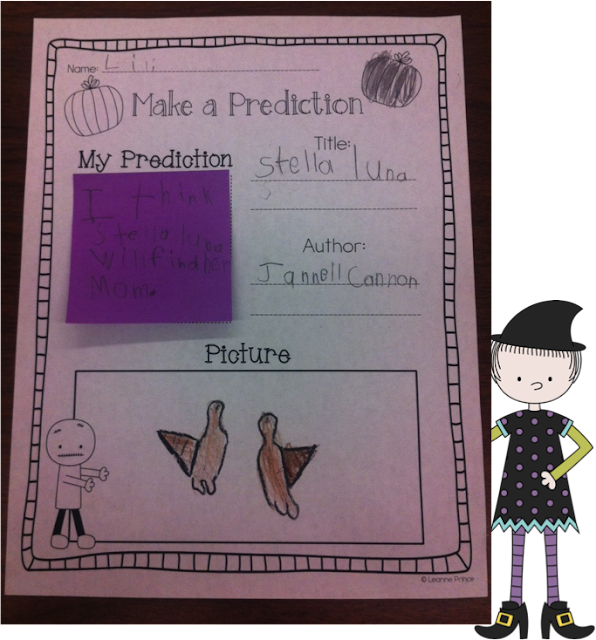 and made some predictions in the middle of the story. 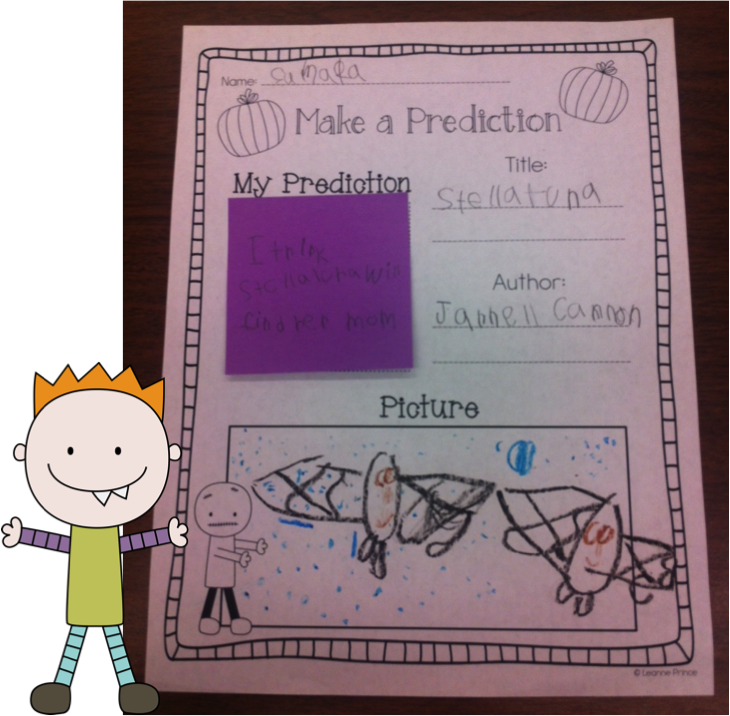 First, I pass out the sticky notes and the students write their prediction. place their sticky note and write down the title and author of the story. Of course, they love coloring a picture to go with their prediciton! 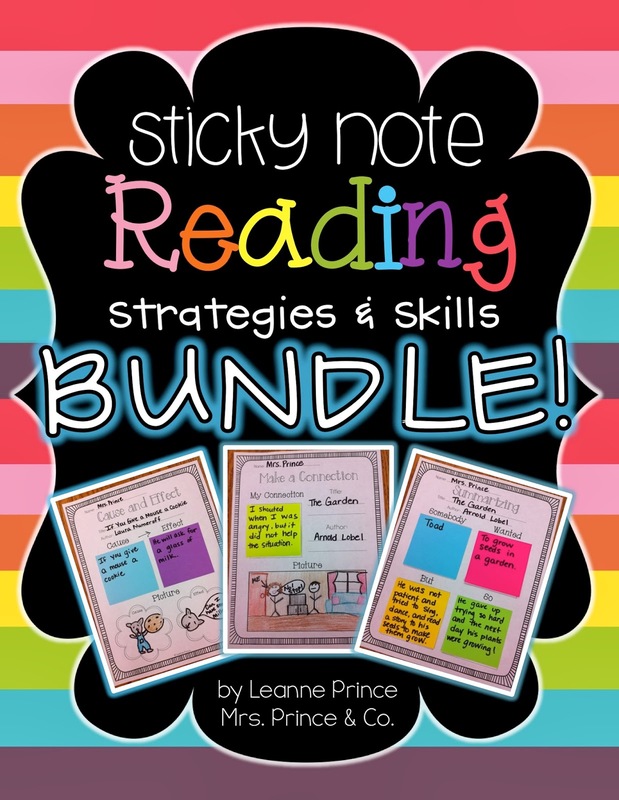 I can't tell you how much they love getting to use sticky notes! 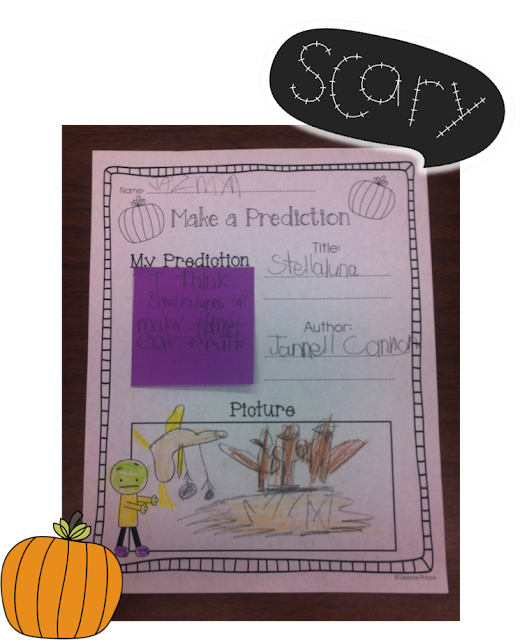 to practice and use reading strategies! Click the pic below to download the making predictions Halloween FREEBIE! book is because I'd love to get a few more for this upcoming week! 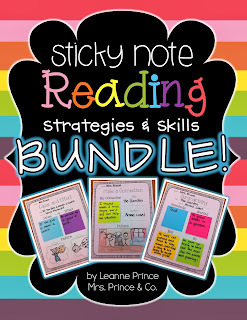 Sticky Note Reading Skills and of course the BUNDLE all in my TpT shop. They are all 10% off today and tomorrow! I hope you get to do something relaxing today! Hello, Mrs. Prince and Co.! 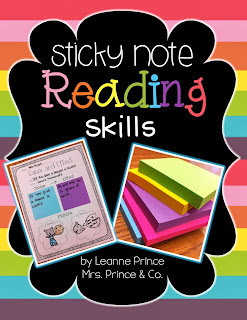 That's so funny you write that about sticky notes---students LOVE them! I was a little surprised to find that out. It's one of those, "Ok, you guys are all crazy about something that costs next to nothing? 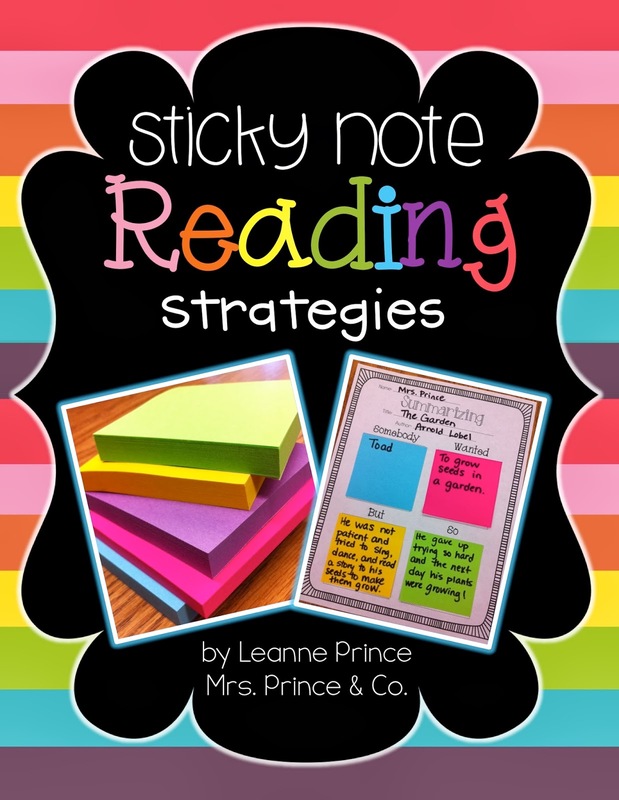 Sticky notes it is!" 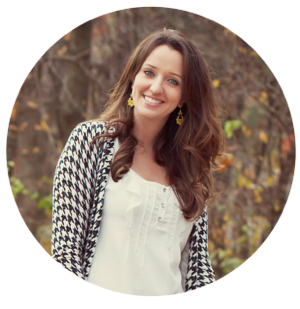 I actually run the blog at Team Building Activities for Kids Central . com, and was wondering if you would like me to write a guest post for you---maybe about how teamwork affects class participation, or about team artwork projects, or something else (any requests?). 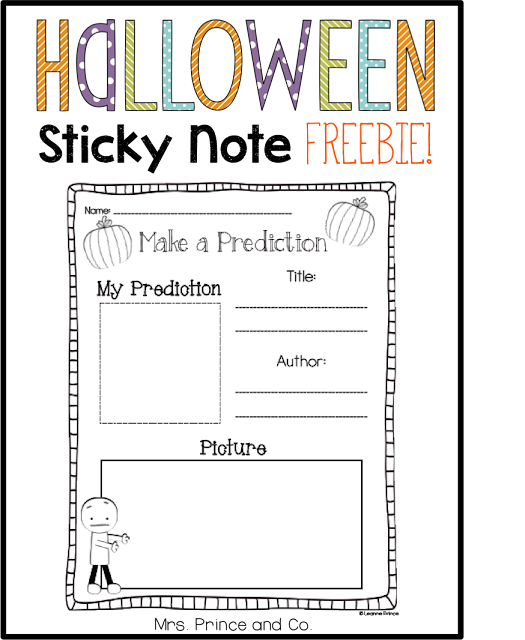 I figure it might be a good fit for your readers. If that sounds like a good idea, please let me know (you can reach me at matt @ teambuildingactivitiesforkidscentral . com). 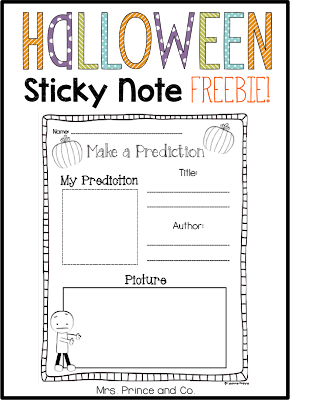 Good luck with all your pre-holiday lessons plans! This time of year is crazy. I love these activities. I'm all about taking the pressure off of me and letting students work together. Otherwise, I lose my voice every year during the first week! Team building games.